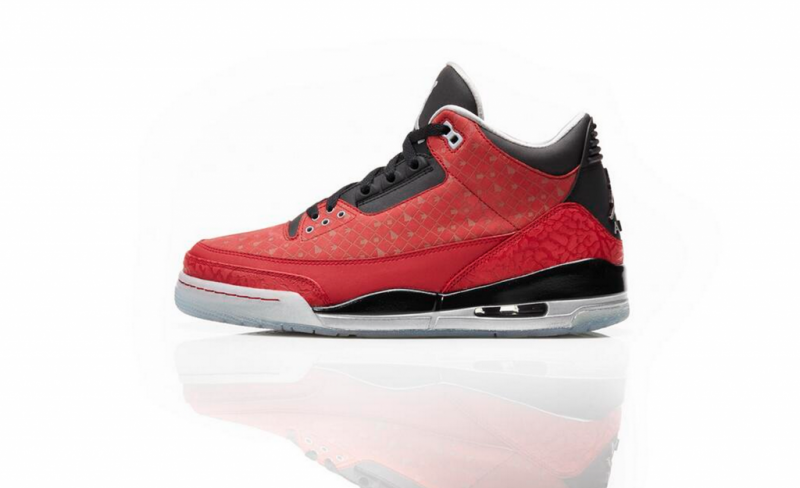 Arguably one of the best Doernbecher designs, the Air Jordan 3 Doernbecher was created by Cole Johanson. Decked out in a all red upper, "COLE" is subtly spelled out throughout the sneaker within a diamond grid pattern. Also featuring callouts to Cole's favorite foods (Chocolate and Spaghetti) on the pull-tab, the sneaker is finished off by two words stamped on each of the insoles; Strength and Courage. After being apart of the first DB restock, the sneaker is even more sought out for now than ever.